There are a number of programs that make it easy for us to combine a scanner and a printer, so that we can use them in place of a photocopier. I wanted to find a program that would make this job a piece of cake. I think I have succeeded, oddly enough with a program called Photocopier. When I first loaded up Photocopier, I searched for the options to see what functions were available. However, there weren’t any fancy options, but this proved to be a good thing. This program is so simple to use, it detects your scanner and your default printer and automatically uses those devices. These default settings will work very nicely for most simple home computer setups. All the basic options available are on the main window, and they are kept to a minimum. We can choose the number of copies, brightness, basic scaling, and if we want to print in black and white or colour. This program has all the basic functions I have ever wanted to use on a photocopier. 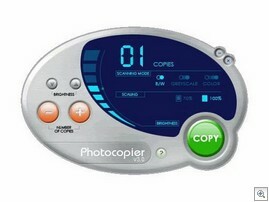 Photocopier 3.03 is available for free (inoffensive popup on exit) from Nico Cuppon Software. There is also a commercial version available.